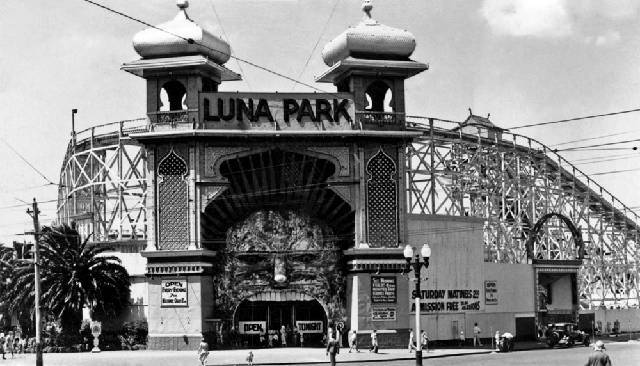 Luna Park, Australia’s earliest amusement park, was the brainchild of the Greater JD Williams Company and the Phillips brothers of the United States. Construction began in 1912 and, after 1913, the Phillips brothers ran this unique complex for the next forty years. The giant mouth between two Moorish towers is like the entry to a walled Islamic temple complex; however, with the Big Dipper (1923) and the Scenic Railway creating a dramatic undulating wall above, this is clearly no place for solemnity from the first year of opening, new attractions were added and removed as their popularity rose and fell. 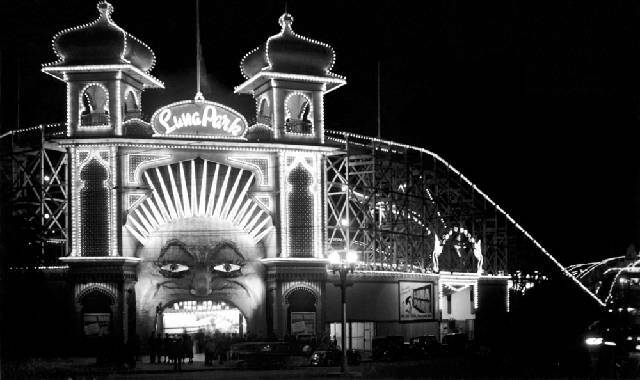 The Whip (1923) and the Giggle Palace have gone, but original rides such as the Carousel was built by the Philadelphia Toboggan Company, shipped to Brussels a few years later then ended up in White City, NSW, before being purchased by Luna Park in 1924. 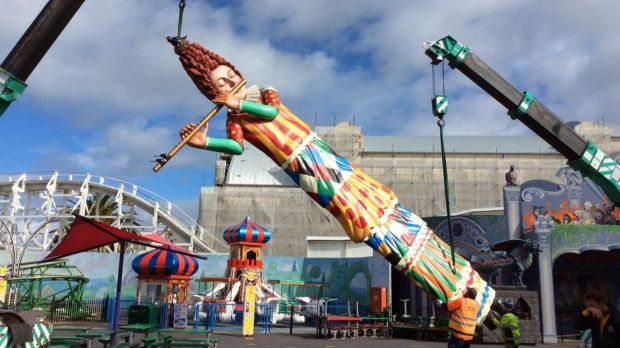 Luna Park is returning gradually to its former glory after a few faded decades. A new owner, with the assistance of conservation architects Nigel Lewis and Richard Aitken, is now restoring and rebuilding many of the exotic facades that concealed rides and amusement halls, as well as adding new attractions. 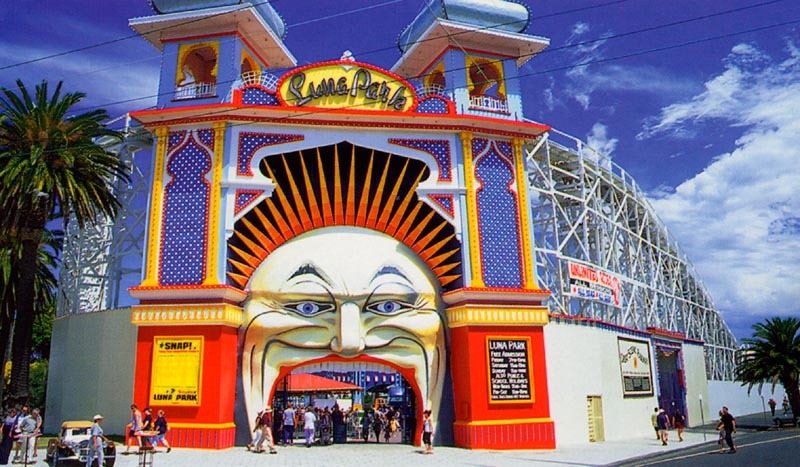 St. Kilda’s Luna Park is the world’s oldest amusement park under private management. The landmark opened in 1912 on the site of ‘Dreamworld’ which closed in 1909. 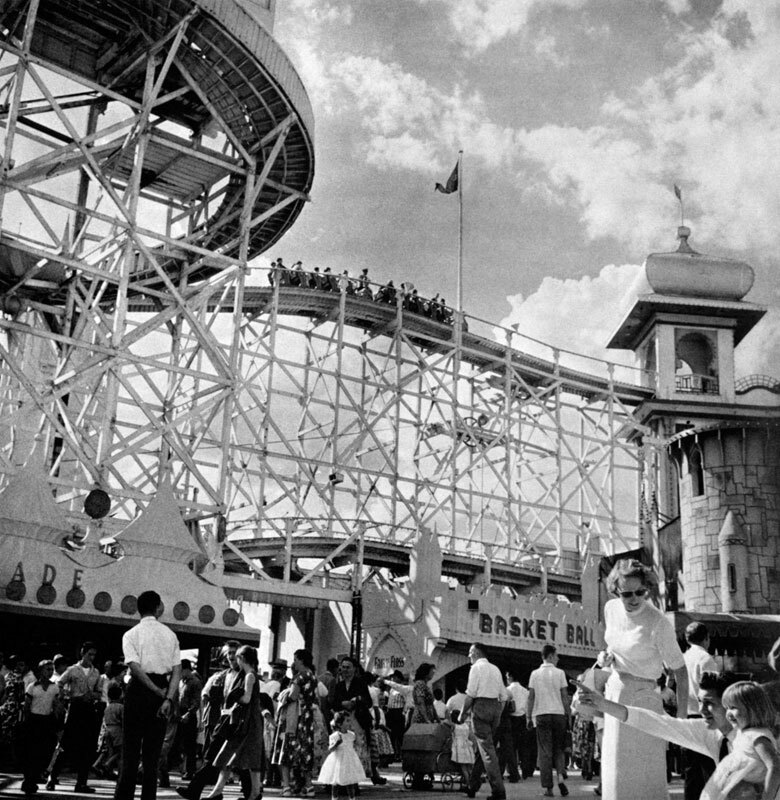 Luna Park in the 1960s. 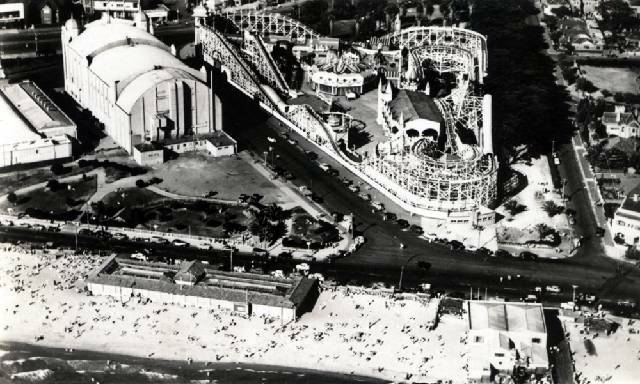 The changing face of Luna Park, above and next three below. 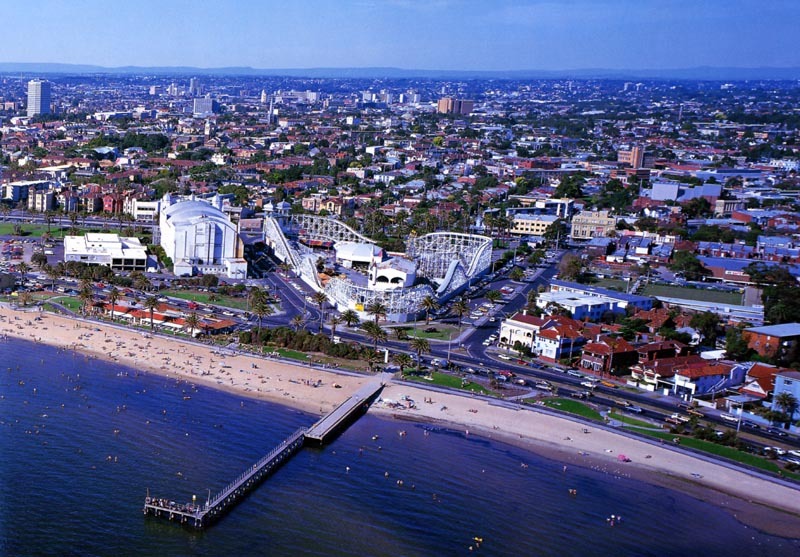 An aerial of St Kilda, clearly showing the rear of Luna Park and its undulating Scenic Railway. 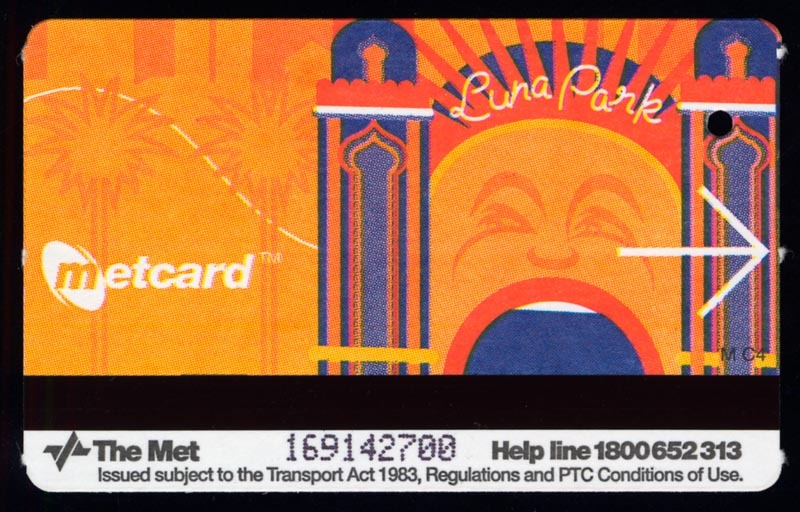 Luna Park on a metcard. 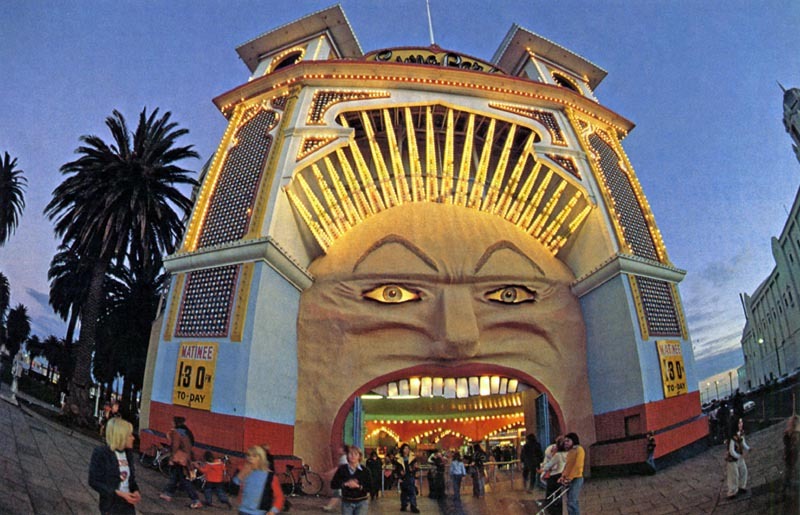 Like many a born-and-bred Melbourne kid, artist Mark Ogge grew up with Luna Park as part of his urban DNA. Now Ogge's own DNA - his creative vision - is an intrinsic part of this city icon, with seven towering and striking characters joining the St Kilda skyline as the park gears up for its 103rd birthday. 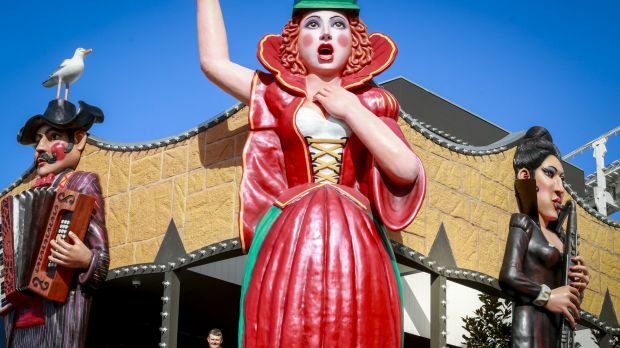 Ogge's latest - and perhaps grandest - works will be unveiled officially on Thursday as Luna Park's famous Mr Moon welcomes seven new friends to the edge of the bay. The new statues are craned in. They are both new and very, very old in their inspiration, and they soar 10 metres as the greeting party at the amusement park's first newly built structure in decades - a three-level cafe and events centre that brings added function to a destination that has captivated Melbourne since it first opened on December 13, 1912.